Last year we signed up for the recycling program in our area. I've loved teaching my kids to read the labels of our plastic containers to find out if they're the right number for recycling. I've also loved helping them sort through their papers, cereal boxes, cans, etc. to see what can go in our recycle bin. We all know how important it is to start going green. 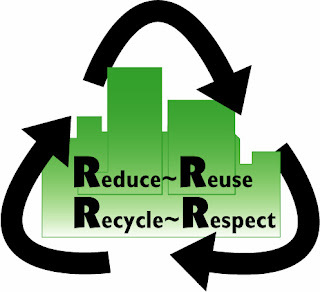 Check out your local waste management to see what kind of recycling programs are in your area.